It's a fact that the maritime sector is one of the most polluting sector of the world. As a TU Delft student I strive to find solutions for this problem and expose these by joining the Solar Boat Team 2019. If the ship-building industry would use more solar power as their energy source, a lot of pollution is prevented. Since I started studying Maritime Engineering I mainly gained theory knowledge in ship-building. To put this knowledge into practice me and my roommate were looking for an extracurricular project. I was already familiar with the dreamteams of the TU Delft. 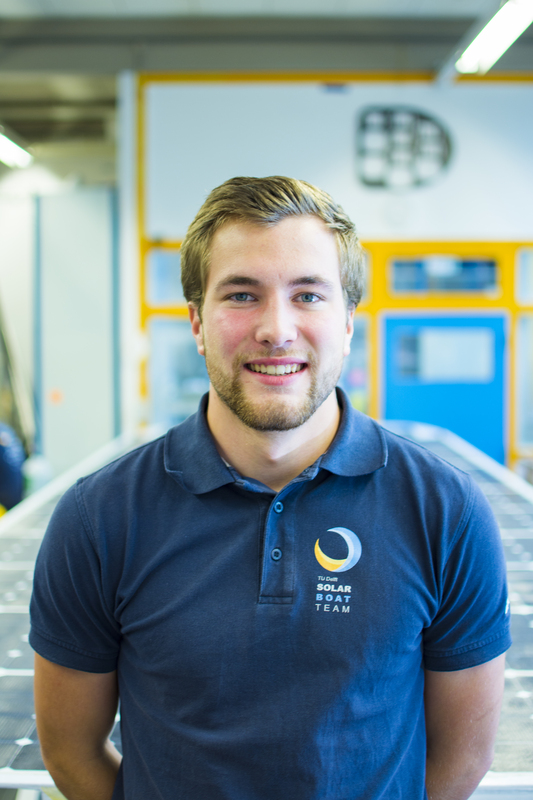 Because the Solar Boat Team most closely matches my discipline, I applied for this dreamteam and was accepted at the Hull & Body department. This year I have the chance to use the theory of previous years in designing and building a real boat. In addition to solar energy, the Solar Boat makes use of hydrofoils so the hull rises from the water and thus a higher efficiency can be achieved. Among other things, I will design the connection between these hydrofoils and the hull. Several departments come together in this part and I love this social interaction within the team. I believe that with strong collaboration a really cool project can be achieved, and in this way we will win the Solar Energy Boat Challenge in Monaco! There is also an internal competition going on in claiming the pilot position in the boat. That is why I am studying with other teammates for the necessary boatmasters' licenses to get over the finish line first!